November 30th marks 20 years since Curtis Miner, newly graduated from the University of Utah Graduate School of Architecture, and wife Janine Miner started Curtis Miner Architecture in their home’s basement. There are many reasons to celebrate this achievement, and we’ve listed twenty here. Curtis Miner – Our founder who leads by example. His belief in teamwork and collaboration, and his humility motivates and inspires. Janine Miner – A founder of the firm, Janine has been integral to its success. Through her creation of the accounting and human resources departments, and her management of operations, she keeps the firm running smoothly. Iconic Utah architecture – Our team is responsible for iconic buildings you see all around the Wasatch Front. These include the UVU Autism Center in Orem, American Heritage School in American Fork, the Lindon Public Safety Building in Lindon and the Vivint Corporate Campus in Provo. Unique design approach – We begin each project with careful listening and learning about our clients’ needs which includes social, historical, political and physical design context. CMA Family – Behind the firm’s beautiful buildings is a team of 27 professionals who have built a reputation for being creative, collaborative and client-focused. Collaboration – We genuinely enjoy working together, with our colleagues, and with our clients. Nine licensed architects – Professional accreditation is important for our firm’s reputation and for the personal growth of firm members. Community-focused culture – Chances are, you’ve seen us out and about in the community, sharing our knowledge with students and community members. Innovation – We explore new roads, focusing on the emerging technology that will provide benefit to our clients, such as 3D visualization. Continuing education – Although many at CMA have received advanced degrees in architecture, we never stop learning. 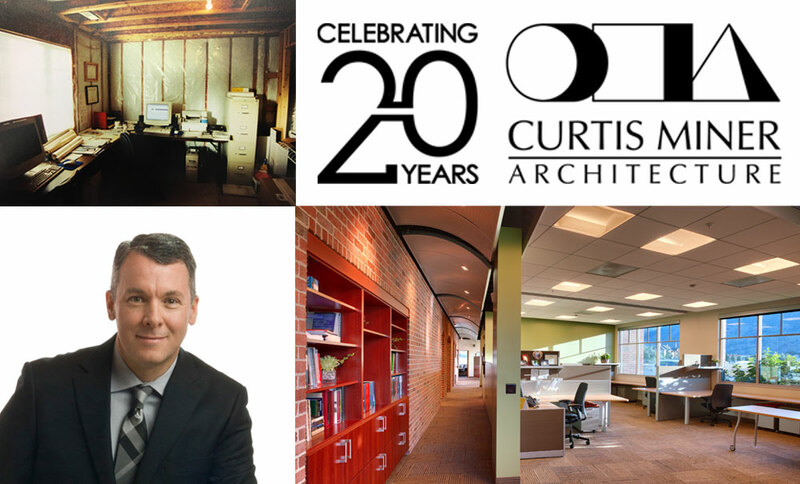 Curtis Livingston and Scott Bingham are two of our talented Project Architects who specifically embody this value – each earned their architecture licenses in the company’s 20th year. Creativity – From pumpkin carving to Derby racing to t-shirt design contests, we work together to keep our creative juices flowing. This helps in designing those iconic structures. Building for the future – Our designs incorporate high-performing, energy-efficient, durable and low maintenance materials and systems that not only reduce the operation costs for our clients but are also environmentally responsible assets to the community. Projects about people – from multi-family projects to assisted living and healthcare facilities to education facilities, we are particularly proud to focus on projects that improve people’s well-being and quality of life. Integrity – each member of our team understands the power of personal integrity, relationships and an honest handshake. More iconic Utah architecture – That Ken Garff Porsche/Audi dealership at the Point of the Mountain? The CMA team designed that. Star Mill in American Fork? Yep. Teamwork – Our best partnering comes when the development team includes client and user representatives, contractors, government officials, the community and other stakeholders. This leads to the best end results. Stairs that get stares – Our passionate designers love their stairs! You could say beautiful, functional and safe stairs are one of our calling cards. Award-winning designs – We know that award-winning designs are a team effort. Thanks to our amazing team members who elevate our designs. Recently completed projects – The CMA team is proud of our 2018 completed projects, which include Ken Garff Volkswagen in Orem, the Deseret First Credit Union Operations Center in West Valley City, and a Deseret First Credit Union branch in Taylorsville. Client-focused service – While this may be one of our top reasons to celebrate, we’ve saved it for the end. Our success has come from the success of our clients – that will be our measuring stick for the next 20 years, too.